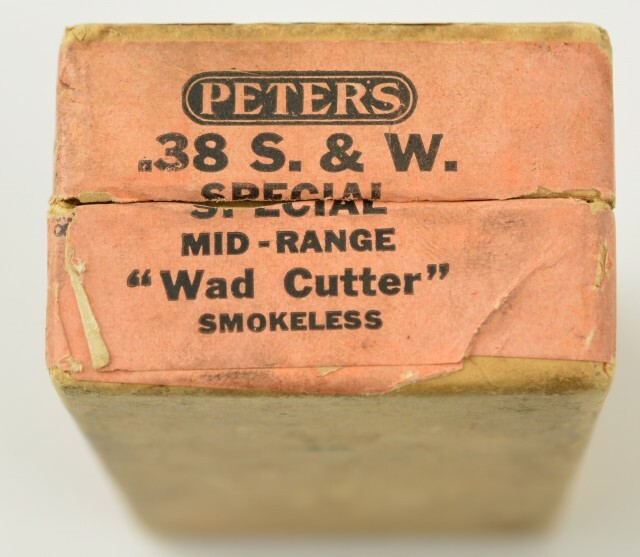 Description: This full box was opened with a knife, so 95% of side label remains. 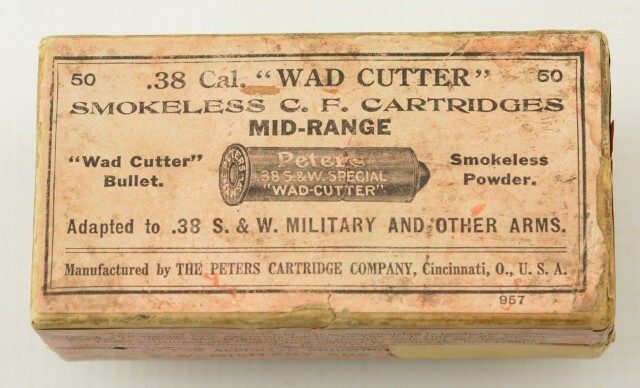 Box shows 'Mid Range Rifle Cartridges" on side with "Unequaled for Accurate shooting up to 20 yards". 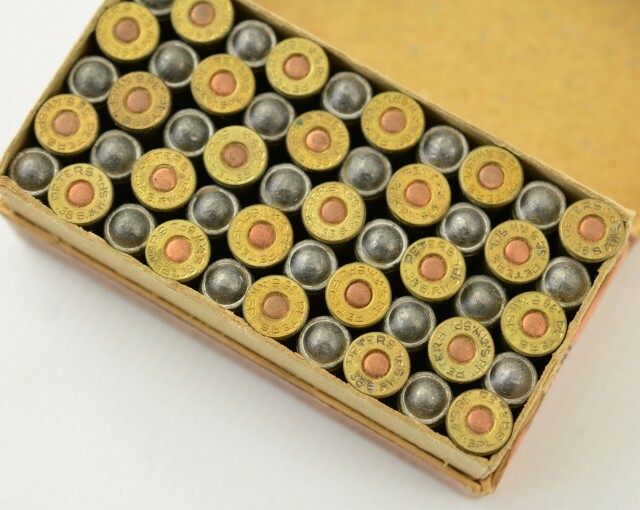 Top label has a great picture of the round with "Adapted to .38 S&W Military and Other Arms" below. The salmon colored labels show shelf wear and staining. 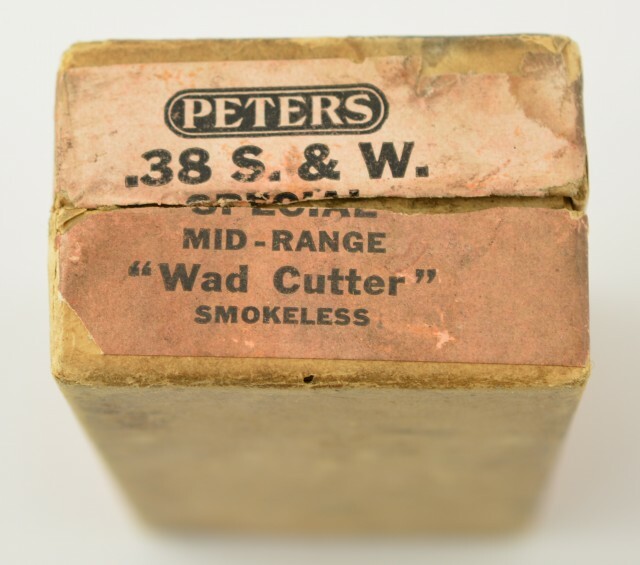 This scarce box is from the early 1920's.